Readers may be interested in seeing an advertisement for Hayden Bros. They also had a store in Syracuse. It is reported that Horace Greeley's white coat was stolen. The mill was located on the Port Byron-Auburn Road. The woolen mill moved into the building previously used to manufacture wooden pails, where a young Brigham Young was once employed. 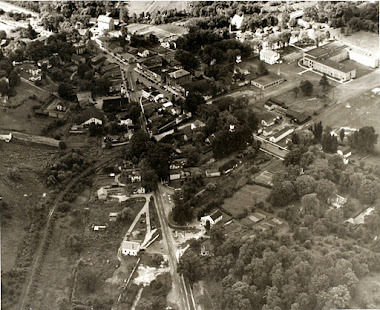 See Military Lot # 84, to the left is wool fact and across the street shows the office Wm Hayden, heading toward but before the township of Throop, NY, being Lot #84 in Mentz.